Jawaharlal Nehru (1889-1964) was an Indian nationalist who campaigned for Indian Independence. Under the tutelage of Gandhi, Nehru became India’s first Prime Minister after India gained independence in 1947. Nehru held this position until his death in 1964. Nehru was born in Allabhad and was educated in England, going to school at Harrow and later studying law at Trinity College, Cambridge. On returning to India in 1912, he practised law and got married to Kamala Kaul. They had one daughter – Indira Gandhi (who would later succeed her father as Prime Minister of India). In 1919, in the wake of the Amritsar massacre and growing calls for Indian independence, Nehru joined the Indian National Congress. He was a supporter of complete independence for India. In 1927, Nehru was an influential voice in advocating the call for complete independence from the British Empire. Gandhi was initially reluctant but came to accept Nehru’s leadership. After the British rejected dominion status, Nehru became leader of Congress and in December 1929 issued India’s declaration of Independence. During the 1920s and 1930s, he actively participated in the civil disobedience campaigns and was jailed on several occasions. 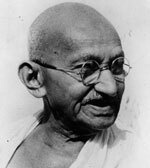 He was one of the rising stars of the Indian independence movement and became seen as the natural successor to Mahatma Gandhi. As Gandhi took a more backseat role in political affairs and concentrated more on spiritual matters, Nehru became the defacto leader of the Indian independence movement. In the 1930s, Nehru was working with Subhas Chandra Bose but split with Bose when he sought Axis help to drive the British from India. In 1942, Nehru followed Gandhi’s ‘Quit India Movement’. Nehru had misgivings as he supported the British War effort against Nazi Germany, but was torn as he also wanted the British to leave India. In 1942, he was arrested for protesting and was put in jail until 1945. On release from jail, Nehru found the Muslim league of Jinnah were much stronger and although opposed to partition, under pressure from Lord Mountbatten he came to view it as an inevitability. Nehru was initially opposed to the plan to separate India into two. However, under pressure from Mountbatten (the last British Viceroy), Nehru reluctantly agreed. However, his joy at India’s independence was overshadowed by the wave of sectarian killing and conflict over Kashmir which continues to this day. 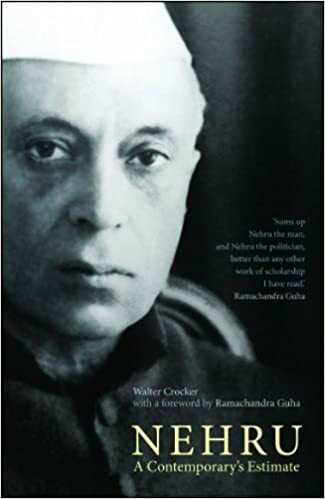 Nehru was a lifelong liberal and pursued policies to improve the welfare of the ‘untouchable class’ and Indian Women. Nehru was committed to secular ideas – once described as a Hindu agnostic. He was proud of India’s Hindu heritage but also feared religion could become ossified and hold back India’s development. 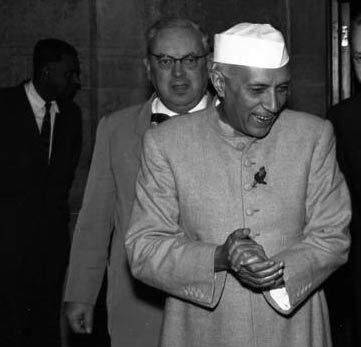 In foreign policy, Nehru was one of the leading figures in the non-aligned movement. Nehru sought to keep India out of the Cold war; he didn’t want India to rely on foreign states – be it Russia or America. As a statesman, Nehru was appreciated for his calm temperament and willingness to seek understanding between nations and conflicting parties. He carried himself with a degree of humility and willingness to seek a peaceful solution. In 1962, India was involved in a conflict with China over a border dispute. Militarily India was defeated and this took a heavy toll on Nehru. Nehru died in 1964. Two years later his daughter Indira Gandhi took office. Nehru married Kamala Kaul in 1916 – they had one daughter Indira Gandhi. In 1942, Indira married Feroze Gandhi with whom they had two sons – Rajiv (b. 1944) and Sanjay (b. 1946). Citation: Pettinger, Tejvan. “Biography of Jawaharlal Nehru” Oxford, www.biographyonline.net 12th Jan. 2011. Updated 12th Jan 2018. People of the Twentieth Century (1901 to 2000) Famous people of the turbulent century. Includes Winston Churchill, F.D. Roosevelt, Adolf Hitler and Stalin.